Ready to dive into the final book in the Wolf Rampant trilogy? Here’s a sneak peak! Charred remnants of the pack’s former compound stood like ominous sentinels in the springtime dusk. Beneath my feet, a thick layer of ash muffled my footsteps but the sound of voices drew me deeper into the burnt-out timbers. Blaze, the most youthful yahoo, sounded just as jittery as I felt. Our young-adult pack members had headed over the mountain an hour earlier in search of the fire-proof lockbox Wolfie hoped might have survived last winter’s flames. And, against my better judgment, I’d allowed Ember to tag along. After all, it was next to impossible to deny the precocious wolf pup anything. Now I regretted my lax parenting. Because it sounded very much like Ember had been mislaid. “Do you think she might have fallen down a hole somewhere?” Keith asked, focusing my own worries on images too horrific for words. Our beloved wolfling impaled on a shattered floor joist, unconscious from blood loss. Or perhaps she’d hit her head while plummeting to the ground, so her brain was now swelling dangerously within her tender skull. I shivered…and heard a similar sentiment expressed in my fifteen-year-old nephew’s voice. I couldn’t spare much sympathy for the teenager, though. Not when a tiny wolf pup was unaccounted for within a conglomeration of burnt-out trailers that might as well have been a mine field. In human years, Ember would be around nine years old, just about ready for fourth grade. Definitely not ready to be set loose unattended in an area where one false step would see you falling through the floor or bringing down the walls around your ears. I’d been slowly pacing forward as I listened, so I was close enough now to make out the forms of each yahoo as I stepped up behind them. In addition to Keith and Blaze, the slightly older Glen and the new-recruit David were both present. Fen was too female to be a true yahoo, but she’d stepped into the role of older-and-wiser guide after the yahoos’ previous ringleader had died in battle the winter before. “She didn’t fall down a hole,” the alpha-in-training told my nephew firmly. The boy’s shoulders relaxed at her words…and so did everyone else’s. 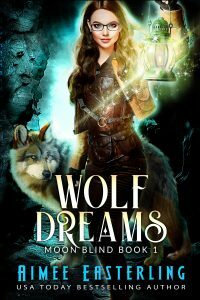 Despite her youth, Fen had that ability to assume control in such a manner that the shifters around her felt buoyed up rather than trodden down, and I felt momentarily jealous of the ease with which she assumed command. I was still struggling to find that happy middle ground between being a pushover alpha and turning into the overbearing taskmaster my father had been. Maybe I needed to take lessons from Fen. The male yahoos chuckled at Fen’s final admonition, and I couldn’t help doing the same. My laugh was really just an extra-loud exhale, but Fen’s eyes still met mine from the other side of the charred studs, her eyebrows raising in question. I shook my head subtly—no, the young woman was doing a fine job and I didn’t feel any need to take over the search. I did feel a need to hunt down my ward as quickly as possible, though. So I headed to the one part of the compound that Fen hadn’t included in her game plan—the atrium at the center of the rectangle of mobile homes. When I’d first walked into Wolfie’s pack compound eight months earlier, this central area had contained a greenhouse brimming with life. The clan’s resident gardeners, Galena and Quetzalli, had proven themselves pros at teasing armloads of produce out of a small space and I’d watched in awe as the pair babied fig trees and grapevines like the children they’d never have. Now the clear plastic roof had melted into piles of hardened goo beneath my feet and only the burnt-over metal hulk of a wheelbarrow remained as evidence of the former paradise. So even though Galena was my closest ally within the pack (besides Wolfie, of course), I was glad that the shifter had chosen to stay in Haven rather than following us back to this demolished compound. There was no need for my friend to see all of her hard work turned to ashes. “Ember, are you there?” I called softly. The words were more for my own sake than to draw the puppy closer since her lupine nose and ears would certainly be aware of my presence if she was nearby. Given how roundly our pack had spoiled Ember during her five short months of life, Fen was probably right that the little bloodling was just teasing us with her absence. At least I’d choose to hope that was the case rather than allowing the images of possible pain and suffering to fill my mind. My wolf rose beneath my skin as my heart rate accelerated, and I let my lupine half flare our nostrils to take in the scents swirling around us. The fire had gone out long enough ago that all I could smell was salt melting out of burnt combustibles due to last night’s rain. 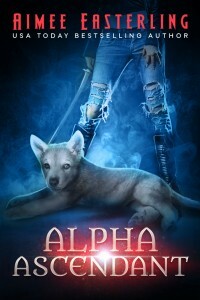 The ash continued to deaden sounds and the compound seemed strangely silent for all that it currently hosted six adult shifters and one lost wolfling. And perhaps the ash muffled scents as well, since I hadn’t been able to smell the yahoos as I approached. If so, then the absence of Ember’s diagnostic odor of pine needles and peppermint was merely a side effect of the fire, not a sign that the pup had wandered off on her own into the night. I chose to hope that was the case. As if our beloved wolfling actually had any set rules to pin her down. 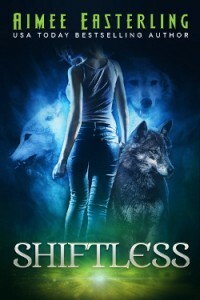 The bundle of fur had won the heart of every member of our merged clan in short order, dissolving Wolfie’s pack of misfits into Haven’s hidebound shifters in a way I’d been unable to accomplish even after weeks of painstaking manipulation. And now that we were all wrapped around her little paw, Ember tended to get whatever she wanted—slumber parties with all and sundry, the tastiest tidbits off everyone’s plates, or half a dozen worried werewolves hunting her through a burnt-out compound. Close, my wolf said simply. I paused, trying to pick up on the sound my animal half must have heard to alert her to the wolf pup’s presence. Nothing. Are you sure? I countered. My lupine companion was nearly always right about these things, but I still could sense neither hide nor hair of our spoiled pup. The air is too quiet, my wolf responded, making me smile. Ember was a force of nature, sure. But even she couldn’t impact wind patterns. Then a small, furry body was falling from who knows where onto my back, scrabbling to cling to my shoulders with sharp little claws. Her wet puppy nose inserted itself into my left ear, and I giggled in an entirely un-alpha-like fashion. But even as I spoke, I was lifting the bloodling off my shoulder and cupping her in my arms. She was warm and soft and smelled faintly of unwashed dog. And, yes, of pine needles and peppermint—the combined aromas of her mother and father. Neither of whom I hoped to ever see again. But Justin’s and Sarah’s genes had somehow created this perfect little pup, who was as adorable as she was mischievous. So how could I regret any of the trouble her parents had caused in the process of introducing Ember into our lives? The wolfling in question began to wriggle in my arms, bored already with my embrace. So I tucked her body firmly beneath one arm pit and used the other hand to unearth a collar and leash from my pants’ pocket, clipping the former around the bloodling’s neck. Our resident wolf pup’s mind was as human as anyone else’s, despite her inability to lose her fur for another decade plus. But we’d long since realized that Ember required restraints just like the animal she appeared to be…at least, she did if the adults around her wanted to retain their sanity. “Found her?” David’s voice rose above the burnt-out walls, and I called back an affirmative. In response, the yahoos began converging on us from all directions, but I didn’t wait for them to arrive. Instead, when Ember leapt to the ground and pulled against her tether, I decided that the pup had discovered something she wanted me to see. And, as usual, I was game to follow wherever the wolfling led. So when Wolfie, Dale, and Oscar showed up to collect us an hour later, the yahoos and I were carefully disinterring fig roots from beneath cracked paving stones. Ember had curled herself into David’s arms, but an occasional yip alerted us to the potential for damaging new green shoots that burst out of the seemingly dead tree. It appeared Fen wasn’t the only young woman with budding leadership potential. I passed the charred piece of wheelbarrow metal (now turned into a digging stick) over to Blaze and allowed the yahoo to take my place as Wolfie stepped out of the shadows. Then I slipped into my mate’s arms as if I were a ship entering safe harbor after long months at sea. We hadn’t seen each other for two hours—the separation felt like an eternity. “Keith found your lockbox,” I told Wolfie, turning my face upwards for a kiss. “Nothing out of the ordinary,” I replied, shooting a chastening glance at Ember. I could have sworn the pup winked back at me before returning her attention to the fig excavation. The tree was clear of the soil now and was being wrapped in Keith’s damp shirt, the kid continuing to take every opportunity to show off his abs in front of Fen. My nephew’s physique had improved markedly over the last eight months, the shift to wolf form and the seemingly endless physical activity young lupines partook of building muscles that changed his aspect from gawky teenager to young man. Car doors slammed as the yahoos piled into one of the two cars parked beside the compound. “Do you want us to take Ember?” David asked, hesitating before he slipped into the last remaining seat. “No, we’ll bring her in our car,” I said, accepting the wolfling back into my arms. She’d somehow managed to gnaw off her collar in the few minutes she’d been out of my sight, and Wolfie tucked the puppy under his shirt rather than slipping another restraint around her neck. With a wolfling head slipping out the top hole of his shirt to join his own, my mate opened the other vehicle’s door and stood back so I could get in. The compound had nearly faded into the darkness now, and I could almost imagine it was still the vibrant pack home that had once stood in place of the current disaster area. I could imagine that Tia was cooking the pack dinner in the kitchen, the yahoos playing cards nearby and snatching snacks from under the older werewolf’s knife. Had my father and Wolfie’s brother not stepped in to turn all of our lives upside down, I would likely have moved into this very compound months ago. By now, I’d be busy carving out my own niche within what outsiders considered a pack of misfits but what I knew was really a piece of paradise. In that alternative world, I wouldn’t be struggling to find my footing as co-leader of a reluctantly merged pack. I wouldn’t be learning to share power with an alpha who I knew in my heart could do a better job on his own. And I wouldn’t lie awake at night pondering outside-the-box solutions in an effort to keep every member of our combined clan happy and healthy. But I also wouldn’t have a soft little wolfling crawling over the gear shift and into my lap. Fen would never have found a potential mate with whom she could share surreptitious finger touches, and my teenage cousin Iris wouldn’t be able to live in her parents’ home without worrying about being drawn into a forced marriage. No, when it came right down to it, I wouldn’t change a single thing about the past. So when Wolfie said “Let’s go home” without a hint of the melancholy I currently felt in his voice, I couldn’t help smiling in reply. Yes, it was time to return to Haven, the community I’d run away from a decade before. It was time to go home. What will happen to Terra next? Click here for Chapter 2 Scene 1. Or download the entire book on the retailer of your choice.